27 Oct 2010 just cannot get any more authentic than this, fantastic. 29 Oct 2010 Nice period photo. He looks pleased with his lot! 30 Oct 2010 My Father in-law may have had a hand in building this machine for the war effort - he started at Plumsted in 1929 aged 14 when it was know as ’Colliers’ and help with the AJS amalgamation into South London in 1931,leaving what was by then AMC in 1948 after the second world war. 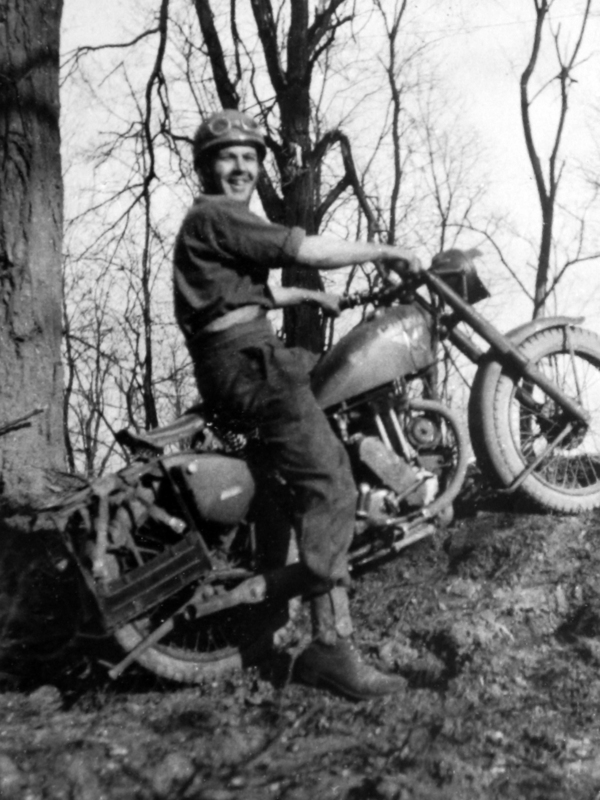 31 Oct 2010 Great, my Dad drove a "Matchless all over Italy during the war, but I have got no photo’s! 31 Oct 2010 Brilliant photo, thanks for sharing it with us. 01 Nov 2010 I know why he’s grinning so much, it’s because he’s being paid to enjoy himself on a bike supplied by someone else, with petrol too! And why not? I know I did......and DWS did too.....Great pic, any more? 03 Nov 2010 thanks for the comments,i am pleased you find the picture of interest.there is another picture but it is of poor quality so i wont be posting it.there is a serial number on the tank on the other picture,can this be traced or is it specific to the army unit?